Six D cell batteries and a propane cylinder can guarantee you some hot water in the wilderness, quite the luxury depending on where you’re staying. This hot shower contraption will revolutionize your camping experience and so will these incredible 16 camping hacks you need to know. For those who like the idea of paddle boarding but don’t care for the paddling part can grab on to this clever product: the WaterBlade. It utilizes a trolling motor of sorts to allow the user to steer with the handle or with their feet—leaning one way or the other. Models range in price from $1,499 to $1,999 for adult models, children’s models run from $1,229 to $1,599. Make sure you stay safe while camping by packing these 11 things, you might not think of one of these. One of the worst parts about owning a kayak is hauling it around. The K-Pak solves that issue with its foldable kayak—that’s right, foldable. It fits into an easy-to-carry backpack and weighs just 21 pounds. It retails for $660, on par with some unfoldable kayaks on the market. What you might want to add to your camping gear is a dry bag and some of these awesome, cheap camping supplies. Photo: Via Folding Boat Co.
You don’t have to go without your expresso in the backwoods. The Handpresso Wild Hybrid will provide you your fix. Just pump it up and add hot water. Make sure you’ve got a coffee cup around, it may be good for another reason other than holding your liquids. Getting outdoors means leaving air conditioned environs but the Coolala brings the AC to you outdoors and absolves you of any guilt running an energy draining device. The Coolala runs on solar power for up to eight hours. Want to see another product that you didn’t think could run on solar? You might already have a love-hate relationship with some of the smells that come with camping but with Yirego’s portable washing machine, you can nip those things in the bud. It’s a non-electrical machine, too. Next all you have to do is find a place for it in the garage, which is easier than you think after looking at these storage tips. Bert’s Bees is a trusted brand so Bert wouldn’t steer you wrong when it comes to insect repellent that won’t repel you. The all-natural herbal repellent is a good alternative to the strong smelling kind out of a can. Try getting rid of bugs with 11 of these natural remedies. Minute Mixology brings nearly all the elements of a home bar to the outdoors with its packets of mixers. The non-GMO, gluten-free mixers come in far more variety than you think and make for a better cocktail mix. If you ever find yourself in the wild with a bottle of wine but can’t find a corkscrew then you’ll definitely want to know 10 ways to open a bottle of wine without a corkscrew. Bunting is a pretty easy way to make camping just a little more glamorous. It’s certainly easy to hanging and paired with the right lighting can create the perfect ambiance. As major U.S. summer holidays approach get an idea on how to decorate with these 15 incredible examples. Pendleton’s collection of blankets are perfect for the rustic setting of a campsite. They become even more elegant and convenient with a leather strap to keep it bundled. 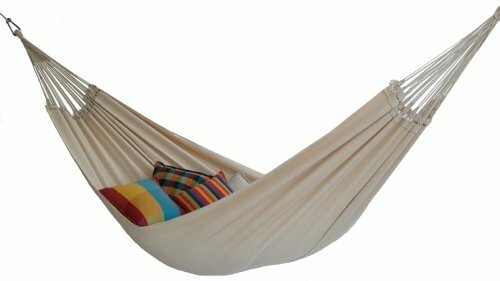 One of those blankets would look great in each of these beautifully relaxing treehouses. Forget trying to bring a bunch of bottles of wine on your next camping trip and don’t consider that big box of wine, either. Try these foldable wine bottles. You can easily pour your merlot, shiraz or pinot noir into the foldable bottle for easy and safe transport. In vino veritas, right? We’ll give you the skinny on the best ways to store wine at home. Crate and Barrel’s bocce ball set looks like something out of a Tommy Hilfiger ad with its bold canvas bag, contrast white and black game balls and red pelota. For $149.95 you can buy some gaming style. For the homebody, check out these fun game rooms to consider for your home. Park your Chevrolet, unpack your apple pie and relax on a beautiful gingham picnic blanket. Mix in a beautiful picnic basket and enjoy a piece of the American Dream in the outdoors. if you’re not much for dining with the ants on the ground, elevate your picnic skills with one of these 14 incredible picnic tables. These crystal ball lights around a campsite with bunting added would make for a gorgeous glamping experience. The lights are solar powered, which makes them easy to use on a camping trip. Get a leg up on the neighbors by knowing what’s hip this year for outdoor lighting options. This little s’more building station is a pretty great tool for little kids to make the tasty snack safely. By using a Sterno as a fire source instead a bonfire there less to worry about and less of a mess. Eventually you all will be able to roast marshmallows around incredible fire pit like this Death Star fire pit. Complete a glamping experience with dishware fit for travel with this dish set from Camp Casual. If you want to put a little pop of color into your camping experience these mint green roasting sticks are a fun choice. The sticks are made of stainless steel so they’re sturdy and they come with a lifetime warranty. The sticks are also highly rated with 86 percent of buyers rating them at five stars. A set of five sticks is $21.57 for Amazon Prime members. Check out these grilling tips to use while camping. The Air Beam Bud is a real deal glamping tent that’s perfect for a weekend getaway in a remote location. The tent is massive, with a 10×10-ft. diameter. And because it doesn’t have a center pole, you can use 100 percent of the space. The best part? It’s inflatable! New to camping? Here are some tips and tricks to help you out. What’s glamping without a little connectivity to the world? The Mophie Powerstation AC is a high-capacity external portable battery that ensures your laptop, tablet and smartphone, will stay charged so you can watch a movie in your big beautiful tent, or jam out to music from your phone. Check out this DIY USB phone charging station that will keep all your gadgets organized at home. If you’re really roughing it, and there are no showers in sight, this combination shelter/shower is for you! 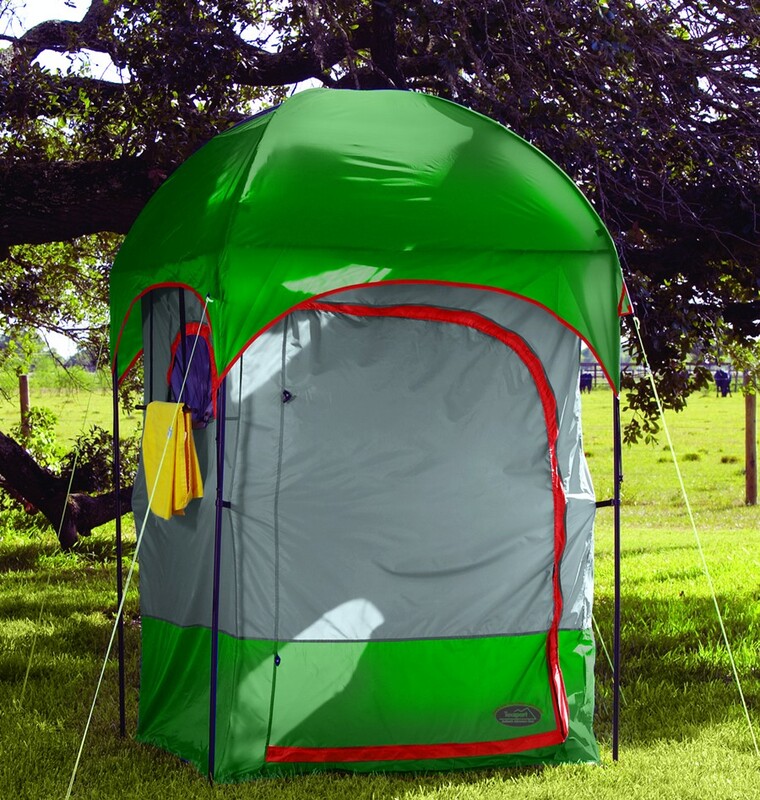 The versatile shelter has a five-gallon portable shower unit, zipper D-shaped door, inner mesh pockets for toiletries, and a detachable floor with mesh panel for water drainage. When you need some privacy for changing, remove the shower for extra space. Check out this DIY outdoor shower you can install once you’re back home from your glamping trip! Just because you’re camping in the woods doesn’t mean you have to sacrifice comfort! This luxury air mattress feels like a traditional bed thanks to the air mattresses 4-layer construction. And a generous 24-in. of height make getting in and out of bed easier than your standard air mattress. A built-in pump, firmness adjust button, and a pillow top sleeping surface that’s treated with antimicrobials to prevent the forming of mold, mildew, and odors makes for even more swanky sleeping. Check out these 10 awesome DIY platform bed designs for more sleeping inspo. It isn’t really glamping without some unnecessary additions like a large area rug and poufs! Make a posh entrance with a smaller rug that can be placed just outside your tent, and make your large indoor area cozy with some poufs and more rugs! Love rugs but hate the dirt they collect? Here’s how to clean them! Make your glamping all the more chic with a picnic basket that has all the goods. This one features service for four, with stemless glasses, full-sized serving tray and a festival blanket. Speaking of picnics, here’s how to build a picnic table! The lights may be out in the woods, but your LED lantern keeps things bright. 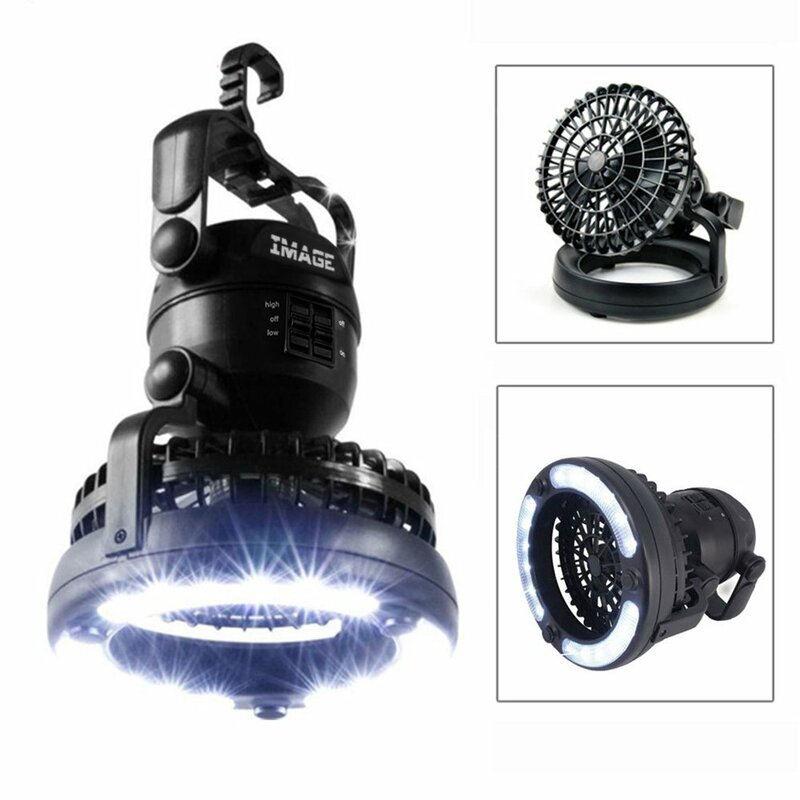 This portable light is also a cooling ceiling fan, and ensures you don’t overheat or get lost in the dark! If a nice cool breeze above your head sounds soothing, here’s how you can install ceiling fans at home. Not all Bluetooth speakers are created equal! 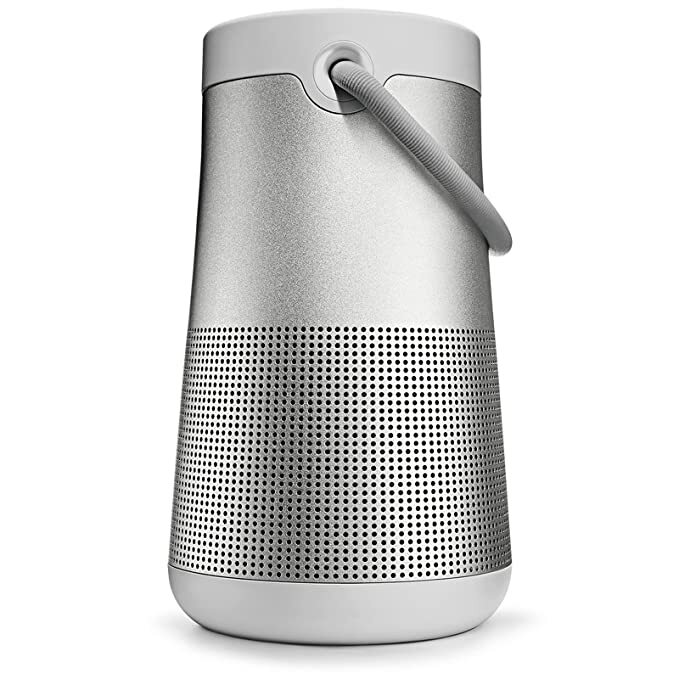 The Bose SoundLink Revolve+ is a glamper’s dream. It’s unbelievably durable, is water resistant, has impeccable sound in every direction and offers a sleek look. The flexible fabric handle makes the device easy to move as well. Love jamming out? Check out these 10 outdoor speakers for great backyard tunes. What’s luxury camping if you don’t have an all-in-one device? The Victorinox Swiss Army Swisschamp XAVT has a total of 83 functions which include: a corkscrew, can opener, tweezers, a toothpick, scissors, several blades, a fish scaler, a magnifying glass, a ballpoint pen, a LED light, a digital clock, an altimeter, a barometer and a thermometer. Now that’s one small but mighty tool! Check out this full list of pocket tools you never knew you needed. Gone are the days when a cooler simply kept your food and drinks chilled. The Coolest Cooler is an all-in-one high-tech must-have. It features a built-in blender, a Bluetooth speaker, USB charger, LED lid light, four BPA-free plates, a sharp knife, corkscrew, bottle opener and so much more. If you have a thing for coolers, build one into your Grillzebo! No clean bathroom in sight at your campsite? No worries! Clean Waste’s portable toilet is the perfect addition for your roomy shower/changing tent. In need of a new toilet at home? Here’s some valuable info on choosing the right one. Picnic Time’s Fusion Chair is the ideal option for someone seeking creature comforts. It features padded backpack straps, extra-comfort ribbed padding in the seat and backrest, a fold-out table with expandable shelves, two sturdy fabric loops on the back of the chair to secure an umbrella or sports banner and a detachable cooler bag with multiple utility pockets. You may never want to move once you assume your position in this luxe seat! Like to DIY? Check out how to build an outdoor chair yourself. Don’t go hungry while glamping! Camp Chef’s 2-Burner Stove is your perfect option for enjoying the comforts of your home kitchen while camping. It features a matchless ignition, a folding three-sided windscreen and a suitcase-style latching lid. Does your stove at home need a little TLC? Here’s how to repair it!